• Ventilated gel infused memory foam with TempActiv™ technology at the surface, all to provide cooling, cradling, comfort and support. • Gel-infused foam with a surface specially designed to enhance both mattress airflow and body support. • Advanced foam system helps support your body throughout the night. Built to be extremely durable for support night after night. Ultimate Edge® Support strengthens the mattress edges to prevent roll off and longer mattress life. Is Blue Max 1000 Plush the right bed for you? The Serta iComfort Blue Max 1000 Plush mattress model is recommended by 46% of owners on GoodBed (based on 26 ratings). Do you have a Serta iComfort Blue Max 1000 Plush mattress? Write a Review! 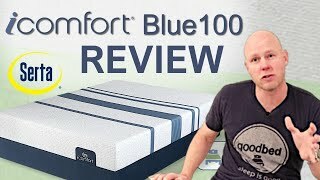 There are 26 ratings on GoodBed for the Blue Max 1000 Plush, but no reviews yet. Be the first. Have a question about the Blue Max 1000 Plush? The Blue Max 1000 Plush is an unquilted medium mattress model that is part of the iComfort product line manufactured by Serta. Have an update or correction to our information about Serta iComfort Blue Max 1000 Plush? If so, please take a moment to suggest an edit. 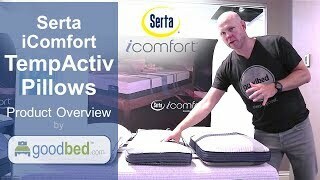 Showing stores with Serta iComfort Blue Max 1000 Plush products nearest to Ashburn, VA. Call store first to confirm availability.